The grocery store by us is remodeling, so every time we pop in things are moved around in a slightly different order. They're getting close to being done but some of their refrigerated areas are still under construction. 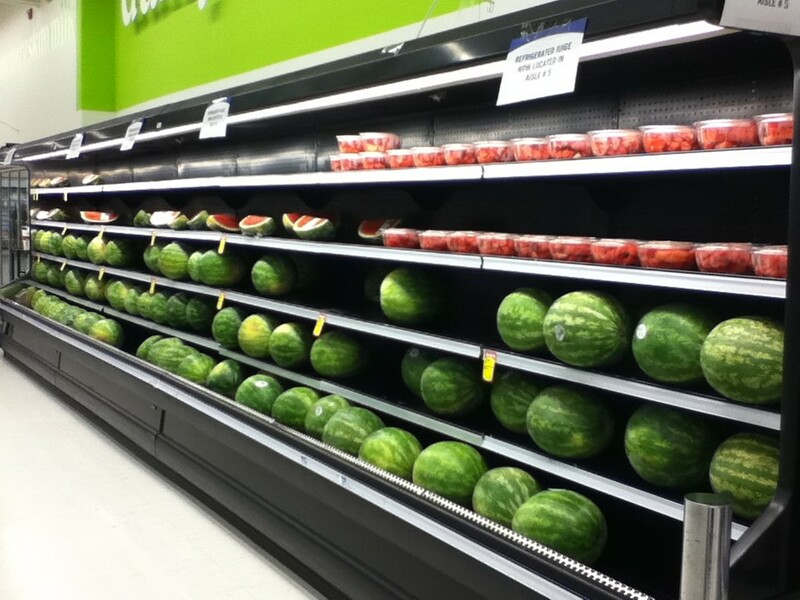 I guess that's why there was a massive sections of double-row watermelons on display. BTW, I love watermelon. Seriously, this photo is so tasty to me.